This roadster is so cute! It even has lights and sounds for more fun. 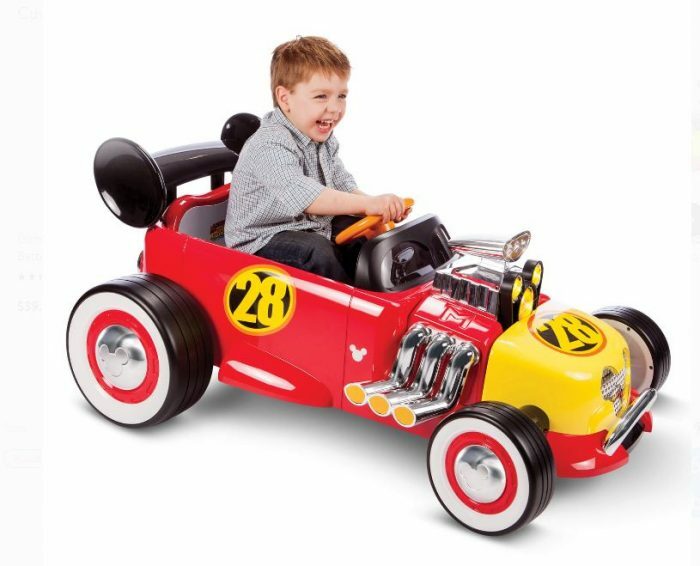 Roadster Racer Electric Ride-On a fun race to the finish line! 3 to 7 years, Max Weight: 65 lbs.